October 03, 2018, 8:30 a.m. The National Trust is the most positively talked about charity among millennials. 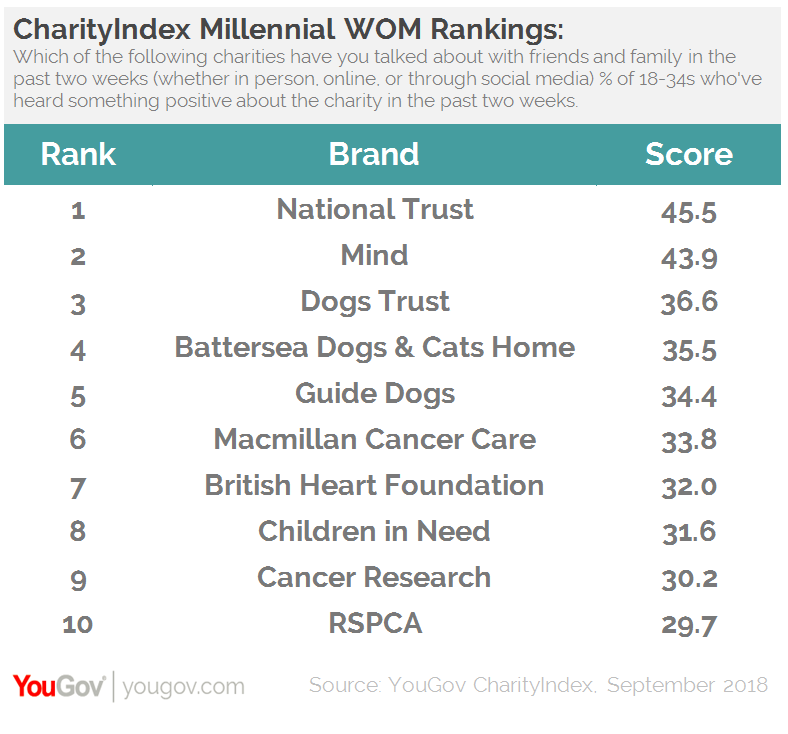 The charity has topped YouGov’s Charity Millennial Rankings which considers which not-for-profit organisations 18-34 year olds have discussed in favourable terms among family and friends. The National Trust tops the list with a score of 46%, narrowly ahead of mental health organisation Mind, which has a rating of 44%. Millennial love of dogs is underlines by the rest of the top five being made up of charities dedicated to the well-being of our canine friends. Dogs Trust is 3rd with a score of 37%, ahead of Battersea Dogs and Cats Home (36%) and Guide Dogs (34%). The rest of the top ten is made up of Macmillan Cancer Support (34%), British Heart Foundation (32%), Children in Need (32%), Cancer Research (30%) and the RSPCA (30%). Although we may stereotypically think of those interested in the activities of the National Trust as being from a slightly older generation, our research indicates that in fact younger people are attentive to the charity’s activities, and are talking about the organisation in positive terms. Perhaps this is due to an even greater environmental concern among people aged 18-34. 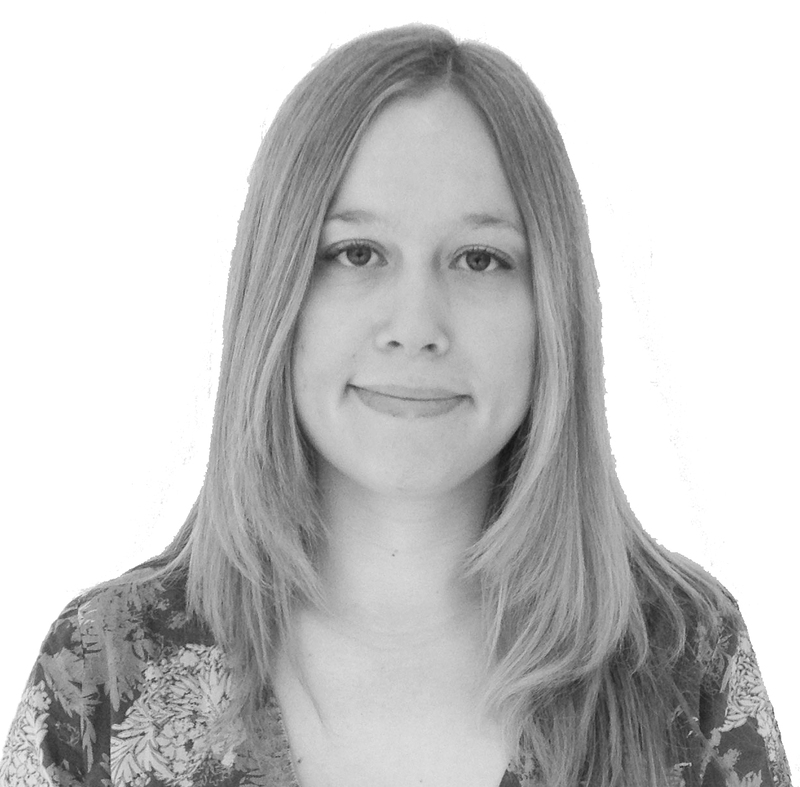 In recent years, the discussion around mental health has gained greater prominence in the media and among the public in general. Mind is one organisation that has positioned itself as being at the forefront of efforts to help those with mental health problems. In terms of the charities that have improved most on this measure, National Trust also takes the top spot. Its score has improved by 8 points. Again, Mind is narrowly behind with an improvement on 6 points. Third on this metric is Help for Heroes, its score has jumped by 5 points. YouGov’s rankings are based upon YouGov CharityIndex’s Word of Mouth metric, which measures whether a respondent has discussed a brand with friends or family (whether in-person, online, or through social media) in the past two weeks. They are then filtered by positive Buzz - to sift out those who talk well of a brand from those who don’t – and age, so that only 18-34 year-olds’ views are measured.